The connection between housing and culture is deeply felt: together, they comprise our sense of home, of identity, of place. And yet, these sectors often are considered in isolation. Taking cues from visionary organizers and developers working in places across America to integrate arts, culture, housing, and more to strengthen communities and combat inequity, ArtPlace is looking to identify promising practices and support involved and interested practitioners. ArtPlace is currently partnering with NeighborWorks America on a series of activities to support and equip affordable housing and community development practitioners as they integrate arts and culture strategies into their work. This partnership builds on NeighborWorks America’s emerging focus on and commitment to creative community development. 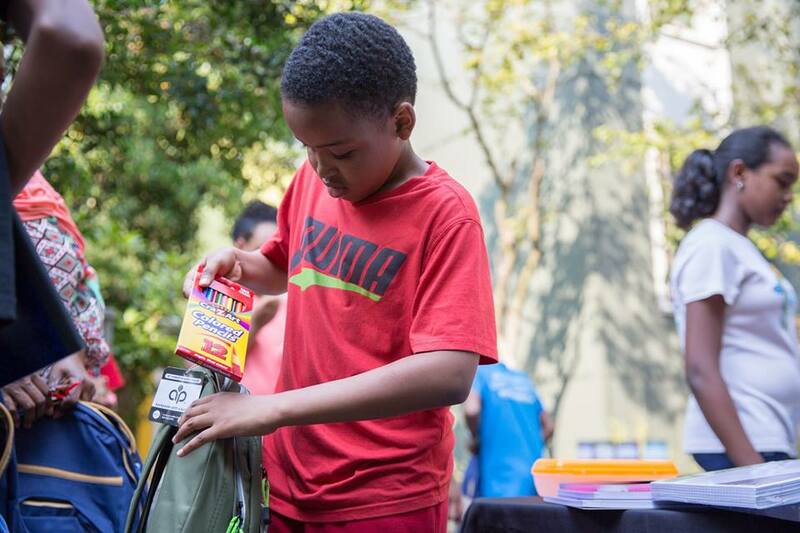 NeighborWorks America sees arts-based strategies as a key component of creating and preserving inclusive communities that foster equitable opportunity for all residents. Collaboratively designed peer learning visits will be hosted by organizations around the country that successfully utilize arts and culture strategies in their housing and community development work. Topics explored in the learning visits, combined with research and analysis completed to date, will inform the development of a series of resources for the field — including a new course on creative placemaking and housing to be launched at the NeighborWorks Training Institute (NTI) in Pittsburgh, PA in December 2018. ArtPlace continues to collaborate with other housing-sector organizations and intermediaries as well; stay tuned for more news on that front! 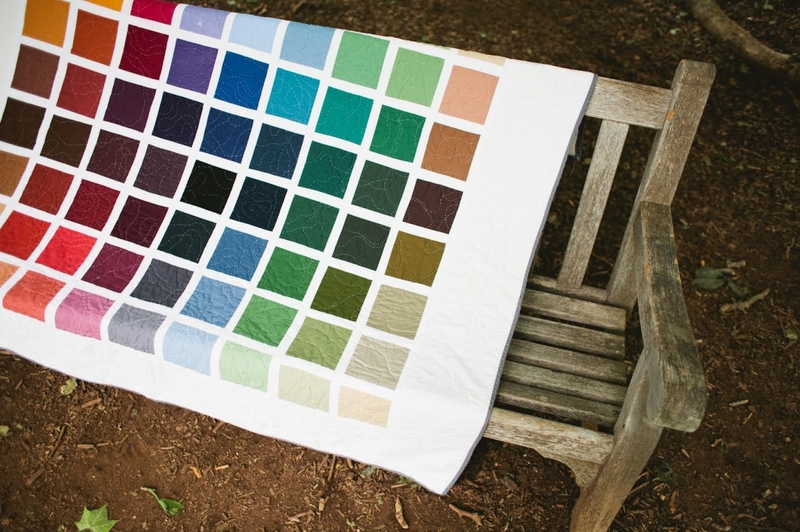 Beginning in September 2015, ArtPlace commissioned independent researcher Danya Sherman to lead an exploration of the intersection of arts, culture, and housing outcomes – focused specifically on work within the housing sector that seeks to build and maintain high quality housing affordable to low-and moderate-income individuals. Sherman’s research was conducted primarily through a literature review, an analysis of philanthropic and federal grants to creative placemaking practitioners and other projects that operate at the intersection of arts and housing, and long-form qualitative interviews with over two dozen practitioners and thought leaders around the country. 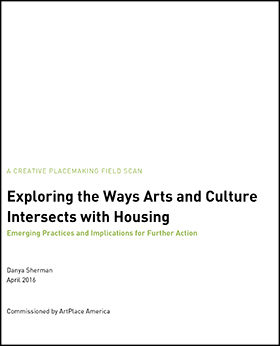 Download the full field scan, Exploring the Ways Arts and Culture Intersects with Housing: Emerging Practices and Implications for Further Action, to learn more. 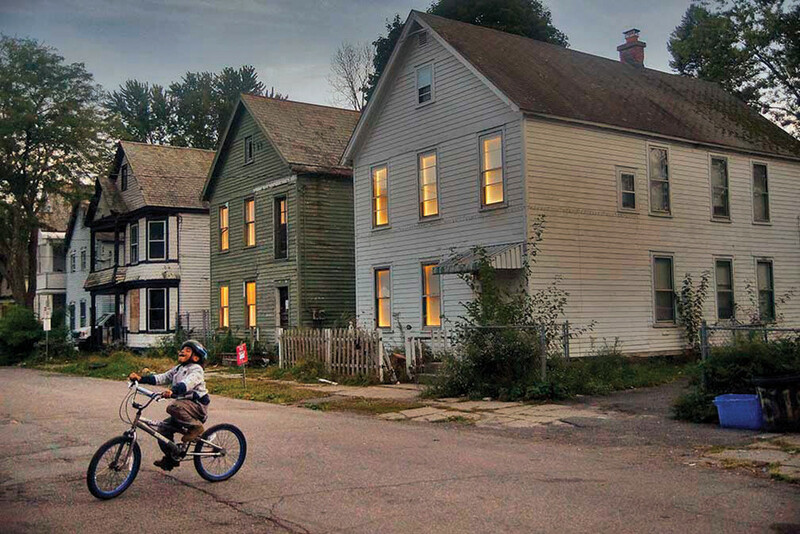 Artist Adam Frelin and architect Barbara Nelson, in collaboration with local governments of three cities in upstate New York, Rennselaer Polytechnic Institute, and dozens of other partners, will illuminate hundreds of vacant homes over a period of several months. The project will bring attention to the overwhelming problem of vacancy in these cities, which are often referred to as legacy or post-industrial. The project seeks to beautifully and creatively spark a higher volume of dialogue and eventually action by bringing more creative attention to the spatial environment in need of revitalization. Breathing Lights also includes a summit on the problem of vacancy in an effort to translate this project into additional economic benefits. The Haven is a homeless services organization in downtown Charlottesville. The Haven has always worked to acknowledge the importance of a beautiful, creative, and restorative environment in homeless service provision. The shelter is located in a reused building downtown, which Executive Director Stephen Hitchcock noted feels special as soon as you walk-in – especially in comparison to the average shelter, which can often feel barebones and clinical. The Haven has partnered with New City Arts for years on various programs, most recently the Housing 2 Home program, funded by ArtPlace America. The program came about at the suggestion of a volunteer who was trying to help a newly placed, formerly homeless individual to make their new house a home, and suggested that they bring in artwork to do so. The Housing 2 Home program will pair a creative organizer to bring such resources to more formerly homeless individuals. This program is expected to nourish the soul of program participants as well as help with the Haven’s bottom line, given that whether a newly placed individual stays in their home for 6 – 12 – 24 months is a key indicator for success. PUSH Buffalo is a multi-issue organization, combining community organizing, political advocacy, housing development, and more. By staying focused on a specific neighborhood over a long period of time and maintaining deep roots in its residents and organizers, PUSH has found itself naturally including arts-based organizing strategies into its activism and community development work to boost effectiveness. 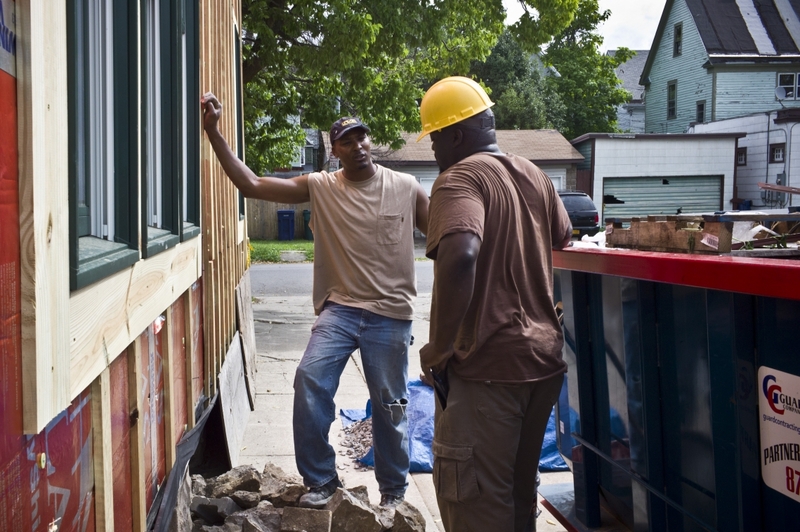 In order to focus on comprehensive community development, PUSH created its housing arm, the Buffalo Neighborhood Stabilization Company, to develop and maintain affordable housing for its residents. Aaron Bartley, Executive Director, identified key cultural factors for successful community organizing and housing development: relevance, dynamism, energy, and fun, even if the issues themselves are technical or dry. PUSH has its own drumming and dancing troupe, has supported mural development by people living in the neighborhood, held two summer concerts per year showcasing local and regional talent, and more. They work to make these practices internal to the organization as a way of building community, strengthening, and celebrating their work. And now, a yearly community congress identified the need for an old school building to become and arts and community center, which is now under development, and will add important value to its housing development and other initiatives. 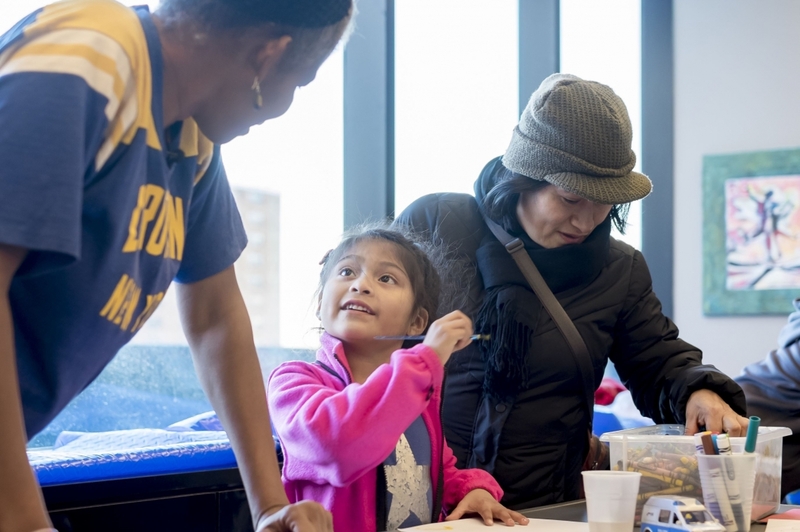 Broadway Housing Communities (BHC), a supportive and affordable housing developer, is breaking through constraints and barriers to innovate new forms of affordable housing for low-income individuals and families. The recent Sugar Hill Housing Development created 124 units of affordable housing as well as a new Children’s Museum of Arts & Storytelling in a building designed by high profile architect David Adjaye. The project built upon BHC’s previous incorporation of the arts into supportive housing developments, which began when a community organizer who was also an artist curated a show in the building. BHC found that this brought new non-residents into the building and helped break down longstanding barriers and biases between members of the neighborhood. Executive Director Ellen Baxter is excited to begin programming the new Museum space and is hopeful that it will continue to be a cultural resource not just for residents but also for broader Harlem and New York City communities, placing the building on a cultural map of the city. 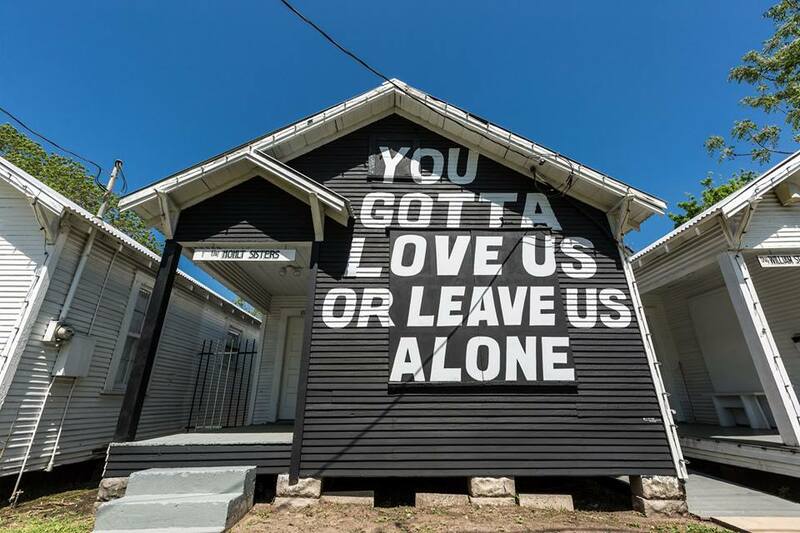 Project Row Houses (PRH), an early practitioner of arts-based cultural and community-based housing development, is focused on the preservation of a mixed income African American community in a rapidly gentrifying neighborhood of Houston. PRH began in the 1980’s as a project by and for local African American artists, and began by salvaging and preserving several vernacular row houses for artists’ studios and galleries. Building on the attention they received as innovative, socially engaged artists, PRH has successfully preserved and developed over 50 units of housing as well as continued to build several spaces for galleries and artists in the culturally historic row house style. Since then, the Third Ward of Texas, located proximately to downtown, has seen increasing real estate development pressure that is making it difficult to retain the historic African American community and neighborhood environment, especially for those of low and moderate incomes who are particularly vulnerable to long-term unemployment. PRH is now partnering with churches, landowners, renters, politicians, and more in the neighborhood to convene the Emancipation Economic Development Council. The Council is pursuing several strategies, including land trusts, anchor institution development strategy, and others to address community stabilization and wealth creation comprehensively and in ways that address structural dynamics, but beginning necessarily with the ability to remain in housing. This partnership allows the arts to “stay nimble,” and not rely on arts-based leaders for everything that they may not be expert in. Capitol Hill Housing is an innovative community development corporation that develops affordable housing and mixed-use developments in the rapidly gentrifying Capitol Hill neighborhood and others throughout Seattle. This award-winning CDC creatively leverages partnerships with arts organizations to build affordable housing (as well as providing other spaces mixed uses). The 12th Avenue Arts building contains restaurants on the first floor, which are buoyed by two flexible theatre spaces, nonprofit office space, and 88 apartment units. Their forward-thinking, place-based strategy gives them deep local knowledge, making it easier to develop projects across a portfolio that incorporates affordable housing, the arts, and commercial activity.